Most likely you've never heard of Lenovo making mobile phones. Still, they do - mainly for the Chinese market. 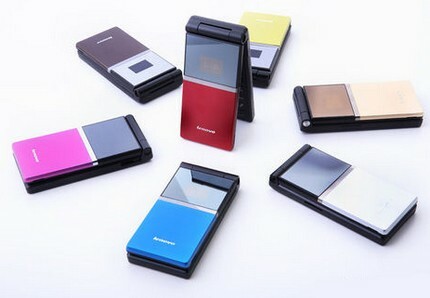 Their new Lenovo P80 is a stylish flip phone that comes in various color combos. The P80 is slim, has an external OLED display and is equipped with a modest 3 megapixel camera. In case you didn't know Lenovo actually sold their China-based cellphone business along with the brand to a company called Hony Capital. They have taken up the task of continuing that not so successful part of Lenovo's business and the first result is the new Lenovo P80. The Lenovo P80 main display is a 2.8-inch TFT unit, but the device also has an ingeniously hidden 1-inch OLED one on the outside. The rest of the modest specs include a 3 megapixel snapper (CIF video @15fps), FM radio, Bluetooth and a microSD slot. There is dual-band GSM support and of course, but no 3G. The target market for Lenovo P80 is logically China and it will be available in seven different colors. There is no info on pricing and availability yet, but you've probably guessed it - we just can't wait! i got the phone, but i am disappointed with its media player function, to play music you have to go to the file manager and play your music one after the other, no continuous play.